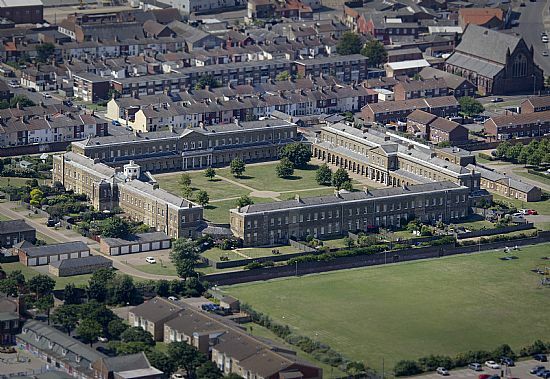 The Royal Naval Hospital at Great Yarmouth is a Grade II* listed building of historical and architectural importance. Completed in 1811, it was commissioned by the Admiralty to care for the sick and wounded of the Royal Navy's North Sea Fleet in its battles with the Napoleonic French Navy. 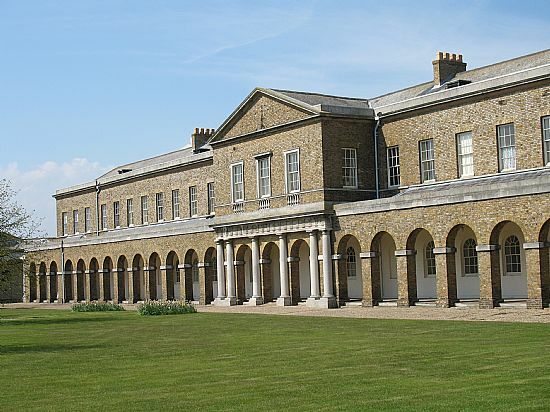 It has also been used by the Army as a barracks and hospital, and has taken in casualties from the Battle of Waterloo and the Indian Mutiny. From 1863, the Hospital treated Royal Navy servicemen suffering from mental illness. In 1958, it became an NHS psychiatric hospital (St Nicholas Hospital) before closure in 1993 and sale for private development as houses and apartments. Please note that the Royal Naval Hospital is private residential property. Public access is restricted to the Heritage Open Days which for 2018 will be: Saturday 8 September & Sunday 9 September, and Saturday 15 September & Sunday 16 September. Opening hours on all four days are 11am to 3pm. When visiting, please show consideration to the residents for whom the Hospital is their home. Use without permission is prohibited. We have made every effort to acknowledge the owner of other copyrighted images, photographs or text. If the owner of any copyrighted images, photographs or text wishes for these to be removed, please notify us using the 'Contact Us' page.